Christmas Wall Sticker. 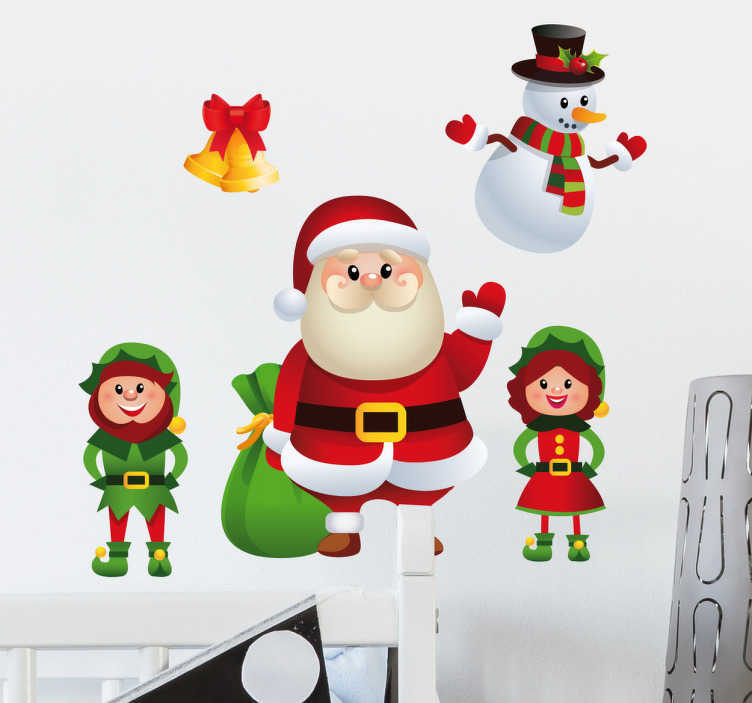 This cheerful wall decoration consists of Santa Claus, male and female elves, snowman and Christmas bells. This cute sticker of Santa with his helpers and a snowman are placed separately from each other so you can decorate your home as you wish.